For me, it's impossible to separate Miike Snow the band from Hockey and The Whitest Boy Alive. I personally discovered all three acts at Coachella 2010, and while each offers a distinctly different sound, all three offer a spin on polite, white funk-pop that's perfect background fodder for parties and other social gatherings. And while I'd say Miike Snow's contemporary, fairly conventional electro-pop vibe is the most generic of the three, they're also the best act on record...much more consistent than the others, delivering stronger songs and hooks and displaying a willingness to get lyrically dangerous the other two acts lack. Initially formed in 2007 as a performance outlet for Swedish uber-dance producers Chris Karlsson and Pontus Winnberg (as Bloodshy and Avant they've worked with some of recent time's biggest dance floor divas, including Kylie Minogue, Madonna, and Brittney Spears), and New York-based singer/producer Andrew Wyatt, the self-titled Miike Snow is the band's proper full length debut. Taking a trick out of the Of Montreal's Hissing Fauna, Are You The Destroyer playbook, the music never falters towards anything other than the bright, hook-ridden and smiley, but the lyrics can get quite dark. Thoughts of "attending one's own burial", losing self-control, and other murky matters of the soul abound, and for the most part, the music/lyric disconnect works, leading to what's all in all a very consistent effort, solid and listenable throughout. The album also has moments of invention...I particularly like Silvia , a long, extended groove that threatens to become annoying with it's relentless, goofy manipulation of the chorus vocals, but instead grows more interesting the longer the technique goes on. But in the end, it's the strong hooks that are going to bring people to this album. Lead singles Animal and Burial (both of which were originally released before the album) are obvious crowd-pleasers, and later cut Cult Logic is even better. So overall, nothing too new here, but if you're looking for an solid, catchy, electro-pop fix, you could do far worse than Miike Snow. Cherry Pickers Best Bets: Animal , Silvia , Sans Soleil , Cult Logic . Here's the official video for lead single Animal. Click on the Widget Below. 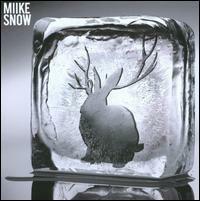 What did you think of Miike Snow? Please feel free to add your thoughts. Okay, let me just cop to it. This is going to be one lame concert review. I wasn't planning on attending the Mumford and Sons show October 18th at the Hollywood, Palladium. Though I have recent release Sigh No More on my to-get list, I have yet to pick it up, and I had very little familiarity with their material at the time of this show. But I got a call from my good friend Craig who happened to have an extra ticket, I work just a block from the Palladium, and you know the rest. We got their early, and unfortunately, I was one of those awful LA concert goers I've complained so much about in other posts. Hadn't seen Craig in a while, was more interested in having a drink and catching up than paying attention to the two lackluster warm up acts, and by the time Mumford came on, I was pretty well snookered. As far as the show went, being unfamiliar with their tracks, I can only speak in generalities, but here goes. They're a winning live band, tons of enthusiasm and energy, and really play to the crowd. Though working a more traditional UK-folk angle than The Avett Brothers, that's the band I would say they're most similar to live. Can't say I was blown away by their material however...some of the songs were quite good, a few excellent, but all and all, there's a definite genericism to this band's sound that may be hard for them to overcome. Still, the crowd seemed to love it, including the guy or gal who scammed this awesome video of the night's best song, their biggest hit Little Lion Man. Enjoy, and sorry again, wish I had more for you on this one. Comprised of guitarist/songwriter/singer Phil Moore, his girlfriend/singer/accordianist Beth Tacular and producer/mutli-instrumentalist Mark Paulson, Bowerbirds produce a streamlined, spare variation on the beard folk that's been very much in vogue on the indie circuit this back half of the Aughts. 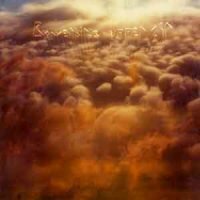 Upper Air, their second release, is a more finely honed and consistent affair than debut Hymns For A Dark Horse , but retains the band's core appeal...simple, rustic, positive folk propelled by Moore's powerful acoustic guitar and Moore and Tacular's beautiful, wistful harmonies. It's an inviting sound, if not quite as impressive or transcendent as that of friends/contemporaries Bon Iver or Fleet Foxes. Still, there's a number of winning songs here, and for fans of this style of contemporary folk, this is a fine, if never spectacular, listen. Cherry Picker's Best Bets: Teeth , Ghost Life , Chimes , Crooked Lust . Here's a live version of Teeth the presents a very clear rendition of Bowerbirds sound! ﻿Please feel free to add your own comments on Bowerbirds' Upper Air! 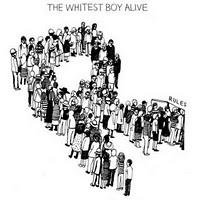 Offering up a polite white disco/funk reminiscent of 70s acts Steely Dan or the Average White Band...but with a decidedly chiller contemporary spin...Rules is an album that lives up to its name, adamantly sticking to a rigidly defined sound. Lucky for the band, it's a great one. Comprised of Marcin Oz and Sebastian Maschat's funky rhythm section, Daniel Nentwis' engaging, beyond bright electric piano, and band leader Erlend Oye's jazz lounge guitar and laid-back vocals, it's a mellow yet propulsive sound that will appeal to just about anyone. Unfortunately, the band's commitment to rules also carries forward into their songwriting, and it's here that Rules takes a serious nose dive. This is quite possibly the safest, least daring album I've heard in the last two years. If Jack Johnson or Ray LaMontagne made a disco album, this would be it. At no point does the band remotely challenge itself or the audience. Granted, I know edginess is not what they're going for here, but the utter lack of edge nonetheless leads to an album with mostly forgettable songs. A few tracks do emerge above the sweet-disco din of mediocrity. The album is bookended well with a fine opener in Keep a Secret and a strong closing jam in Island , and the tracks Courage and Gravity add rare moments of emotional urgency, but otherwise, listening to this is like watching an NBA All-Star playing in a preseason game - you know he's capable of great things, but you also know, for now, that he's just going to go through the motions. So a very mixed review here...love the sound, hate the effort...but in the end, the sound alone is engaging enough to give Rules a modest bump. Cherry Picker's Best Bets: Keep A Secret , Courage , Gravity , Island . Here's a youtube link for Keep A Secret. Intanglibles - Average to High.